Are you going home for a break but still want to get some research done? Or are you someone thinking of visiting our Library and want your own access card to make your visits here that much easier? Then follow the instructions below to see if you could join the SCONUL scheme! The SCONUL Access scheme is a reciprocal relationship between many university libraries across the UK and Ireland allowing members of the different institutions to make use of each other’s libraries. What access can I get? Depending on whether you are a full or part-time student, an undergraduate, postgraduate or staff member, you could be eligible for borrowing books or reference access to other SCONUL Access member libraries. Go to the SCONUL Access participating libraries page and select your status and home institution. You will then see a list of all the libraries that you are eligible to use. Select the library that you wish to use and click on the ‘apply for access’ button and complete the online form. You will receive an email authorizing your registration at all the libraries you are eligible to join. Simply take your email and University Campus Card along to the Library you wish to access and you will be issued with your own access or library card. Remember you only need to apply once – you can use the same email to join as many libraries as you want! Note: Not all libraries are members of the scheme, and not all members of the scheme accept all types of users. Each library participating in SCONUL Access chooses which types of users to accept under the scheme. The SCONUL Access participating libraries page will only the display the ones you can use. If you are unsure please contact the Library. If you are a current University of Reading student or staff member looking to use another institutions library please follow the link here. Are you going home for the holidays but still want to get some research done? Or are you someone thinking of visiting our Library and want your own access card to make your visits here that much easier? Keep borrowing over the Christmas holidays! The end of the Autumn term is rapidly approaching! Have you checked what our opening hours are over the Christmas vacation? Or do you know when your items have to be returned by over the University closure period? 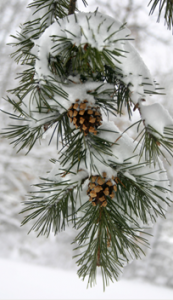 Autumn term will end on Friday 14 December as the Christmas vacation begins the following day, Saturday 15 December. This means that the opening hours of both University Library buildings will change. Please note that both Library buildings will be open on the weekends of 15/16 December, 22/23 December and 5/6 January but as self-service only. 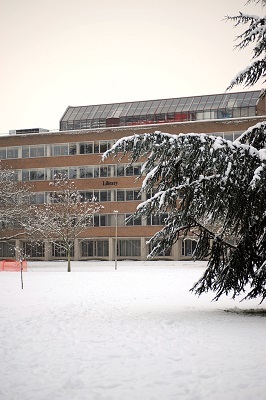 The Library buildings will also be closed over the University Christmas closure between Monday 24 December and Tuesday 1 January. Please see our opening hours page on our website for more information. Just keep renewing your loans unless or until someone else recalls them … so keep checking your University account! You can even return loans by post if you prefer. If your account is blocked please contact the Library and we will discuss the situation with you. We know the short Christmas break also spans public holidays and the Christmas University Closure period, so we’ve made special allowances. Any journals, 7-day loans or Course Collection items borrowed from Friday 14 December until the Christmas University Closure will be due back on Wednesday 2 January (by 11:00 for Course Collection items). No items will be due back between Friday 21 December and Monday 1 January. 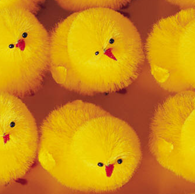 The Library and URS Building will close at 17:00 on Wednesday 28 March for the University Easter closure period. 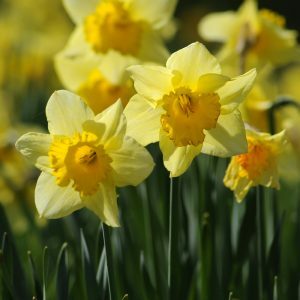 We will reopen at 08:30 on Wednesday 4 April. You can always view our full opening hours on our website. If you need help while we’re closed you can chat online via the blue ‘Virtual Enquiry Service’ box on the Library homepage! This service is staffed by professional librarians working remotely to answer your queries from our website and other information we’ve supplied. Revising this Easter vacation? It’s not all bad! The Library makes getting those crucial textbooks even easier for you. It will be ‘business as usual’ with loan periods remaining the same in vacation as all term. So keep checking your account and renewing your loans unless someone else recalls them. No items will be due back over the closure period and we’ll email you if your loans are recalled! You can return items at the Library even when we’re closed or you can even post them back to us. If you’re ever unsure, you can contact us. 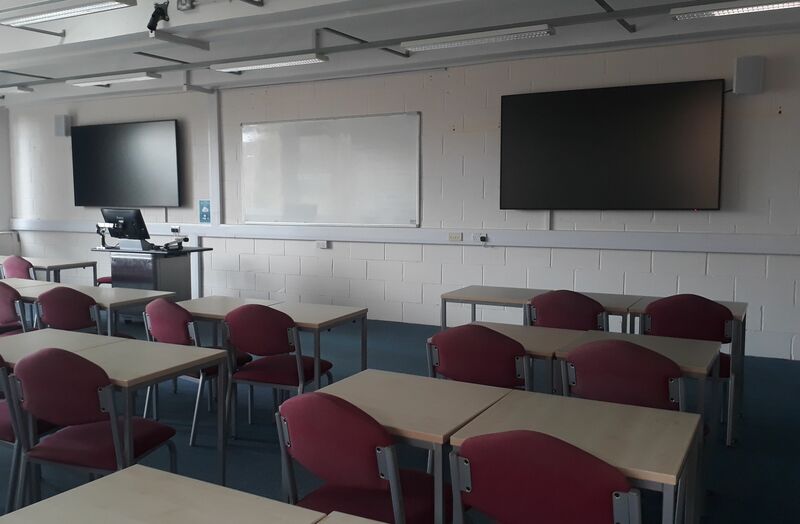 All of the group study rooms in Library@URS will be open from 6pm on Friday 23 March until the start of next academic year (except during the University’s Easter closure period). If you ever need to find study space just check our Study Space map to find a place or use the Free Room Finder online tool which displays rooms available for immediate use. Here is an update on new study spaces available later this month and works taking place inside the Library. The Library@URS offers around 600 study spaces during term time. While the space is convenient for studying, we do recognise that it can be difficult to find space during peak times (occupancy rates suggest this is typically 10:00– 16:00). Study space at Eat at the Square: Eat at the Square will be open after lunch 15:00-18:00 every Monday to Friday during term time. It will provide approximately 280 spaces, with refreshments available to purchase from The Grumpy Mule. Extended Chancellor’s Building opening hours: Opening hours for the Chancellor’s Building have been extended to offer additional space 18:00–21:00 every Monday to Friday during term time. (This is in addition to opening Chancellor’s at weekends if URS becomes full – see below). New study spaces to be created in Halls: In case you missed our announcement last November, more than 100 new study spaces will be available across our Halls of Residence. We are aiming for these to be ready by the end of February. AVAILABLE NOW – Study Space Map: We have also produced a Study Space Map highlighting spaces across our Whiteknights and London Road campuses. Download the map today at our Library refurbishment page (top link in ‘FIND STUDY SPACE BEYOND THE LIBRARY’ box). Library@URS anti-desk-hogging service: Does that jacket really need its own space? Please speak to staff at the Reception or ground floor Information Desk if you see unattended spaces ‘booked’ with belongings. Chancellor’s Building as overflow space: The Chancellor’s Building can be opened as relief space if URS becomes full at weekends – please speak to staff at the URS ground floor Information Desk for more information. Extra URS space over weekends and vacations: Rooms 2s14, 2s21, 2s25, 2s26 and 2s27 will be available when the Large Lecture Theatre is not in use over weekends and vacations (due to fire regulations). In term time, the rooms are available from 18;00 Friday until 08:00 Monday. The rooms will be immediately available during vacations and summer terms, ensuring the maximum study space capacity can be used at exam revision time. The Free Room Finder and live list of available PCs are useful for finding study space beyond URS spaces there and then. 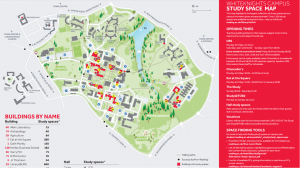 The Study Space Map and PDF list of study space each provide an overview of all audited space across our London Road and Whiteknights campuses. Don’t forget that RUSU also offer study space and free printing to all campus card holders at The Study and Study@TOB2. As ever, the Library building remains open for borrowing books and learning materials while refurbishment work takes place. Please note there may be noisy works over the next few weeks as the next phase of work includes the cutting of concrete slab on the Ground and Basement Floors. Don’t forget that Library staff are on hand to answer your questions and help you out – please speak to staff at the Library@URS Reception or Ground Floor Information Desk if you need assistance or have any queries. Please visit the Library refurbishment webpage for further information on the project, including the latest news, links to space-finding tools and FAQs. Keep renewing your loans over Christmas! We know the short Christmas break also spans public holidays and the Christmas University Closure period (Friday 22 December to Monday 1 January – see our Opening hours page for more information), so we’ve made special allowances. Any journals, 7-day loans or Course Collection items borrowed from Saturday 16 December until the Christmas University Closure will be due back on Tuesday 2 January (by 10:00 for Course Collection items). No items will be due back between Saturday 16 December and Monday 1 January. If you have a library-related query during the Christmas closure period (Friday 22 December to Monday 1 January) you can still get help. 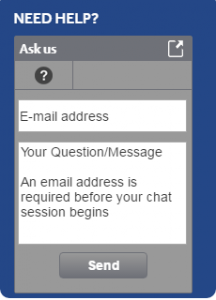 Chat online via the blue ‘Virtual Enquiry Service’ box on the Library webpage. The Virtual Enquiry Service is staffed by professional librarians working remotely to answer your queries from our website and other information we’ve supplied. You can keep an email transcript of the chat. If they can’t resolve a particular issue they’ll refer you back to us during our staffed hours. During staffed Library service hours, please do continue to contact UoR Library staff to help with your enquiries! Get your Store and Closed Access requests in soon! If you want items kept in areas not accessible to Library users or members of the public before Christmas make sure that you get your requests in on time! Off-Site Store will need to be requested before 08:30 on Thursday 21 December. Closed Access items will need to be requested before 10:30 on Thursday 21 December. Normal service will resume on Tuesday 2 January with the first Closed Access collection on that day and the first Store collection on Thursday 4 January. For more information and detailed instructions on how to make Closed Access and Store requests, check out the ‘Requesting items from Store and Closed Access‘ information page. The Library will be open for access to printed books with self-service borrowing and returns. The URS Building will be open for study (including use of PCS) and self-service borrowing and returns from Course Collection. Both buildings will be supervised by our Security team. For any Library-related queries, students can seek advice from qualified staff using our online chat service, accessible from the Library homepage. Full details of Library and URS Building opening hours, including vacation times, are available online. We are currently working on finalising our opening hours for the Easter vacation period and will confirm details nearer the time. 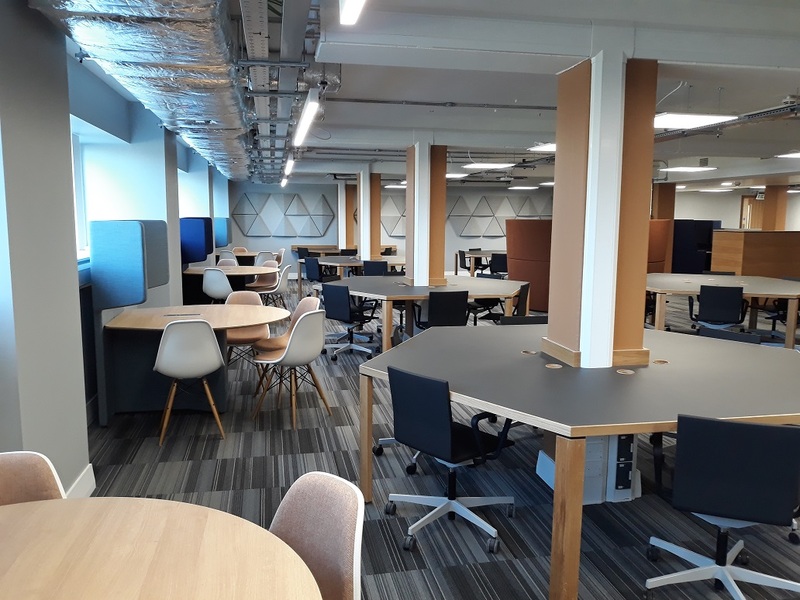 Full details of the Library refurbishment, including FAQ, project summary, latest news and study space links, are available on our dedicated project website: reading.ac.uk/library/refurb.